Stockholm, Sweden is a city of islands. What better way to get around than by a sightseeing boat. 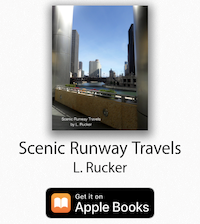 Scenic Runway App is available from the Google Play Store on your Android Device!